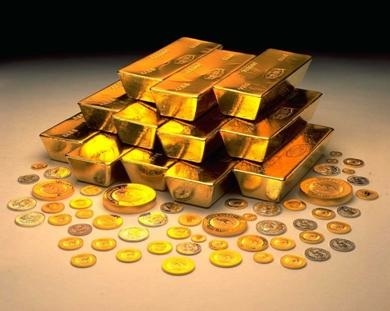 Will Spain Give The Thyssens A Second Gold Hoard? Interview with Sara Olivo for Epoca Magazine (Gaceta de Negocios) 12 March 2010. EM: Do you think that Carmen Cervera and the Spanish State will come to an agreement for the Carmen Thyssen-Bornemisza Collection to remain in Spain? DL: I hope not. The Spanish state does not need her pictures. And Carmen Cervera should not be asking the Spanish state for any payment. The Spanish state cannot afford it and the Madrid museum already loses money every year. So why pay more money to a wealthy Thyssen in order to lose even more money for the state? For the life of me I cannot think of a reason why Spain wants Carmen Thyssen’s third-rate pictures, when it already has too many first-rate pictures in other museums. EM: What are the main difficulties faced by Tita to reach a satisfactory agreement? DL: The main problems are her greed and Spain’s bad financial situation. She is trying to repeat the deal that her husband Heini made nearly 20 years ago. But she does not have his skill or knowledge. You did a terrible deal with Heini Thyssen. Even some of your own experts expressed scepticism about the wisdom of Spain buying his collection in 1993, for instance Eduard Castellet, President of the Fundacion Miro. So why would you want to do another, even more terrible deal? EM: She says that she has offers from some museums in the USA and Europe. Can this be true? DL: No, I don’t think that’s true. If she did, why would she not name them and say what they are offering her? EM: She says she has as much money as people think…..Is it true? DL: Her worth is never going to be what she says it is. I’m not sure she would even know herself. If she can claim that her pictures are worth €700 million, then of course she can claim to be a billionairess. But I believe that all of that is totally and completely exaggerated. Anyway, what does it matter how much money she has? She is taking money from Spain, not giving it. EM: Is the Thyssen Collection overrated? Tita says it is worth €700 million. EM: Can the negotiations affect the dispute between Tita and Borja and visa versa? DL: Negotiations for what? She never says what she is negotiating. She constantly changes the number and nature of the pictures she wants Spain to rent from her. In Malaga, she is talking about a catalogue of 200 pictures, which only the conservative mayor has ever seen (not even the left-wing opposition in the town council has had the honour). The deal in Sant Feliu de Guixols is even more obscure, and yet she is talking about a ‘Thyssen museum network’ between the three locations. In the meantime, I calculate that Spain has already spent a total of around €100 milllion (!) to build facilities in Madrid, Malaga and Sant Feliu de Guixols to house parts of the Carmen Thyssen-Bornemisza Collection. If she is negotiating about pictures which are part of her son Borja Thyssen’s inheritance rights, then obviously he could challenge any deal. EM: Do you think that being such a populist politician, Prime Minister Zapatero has a real interest in the collection with such a financial crisis as we currently have in Spain? DL: I don’t understand why anyone, regardless of their political beliefs, would want to pay for pictures, some of which the Spanish state has already rejected before and others which were purchased from money previously paid to the Thyssens by the Spanish tax payer. It would be a bit like paying for the same thing twice! EM: Tita said that the topic of her private collection is independent of the negotiations on the future of the Thyssen Museum. Do you think this is true? DL: Carmen Cervera’s pictures housed in the Madrid museum since 2004 were not part of the original agreement with Heini, for which Spain paid $350 million in 1993 (according to my figures it was actually closer to $600 million if you include the real estate, architectural costs, insurance, lawyers fees, administration, etc,. etc.). Heini Thyssen did, however, manage to get a foot in the door for his wife by signing a separate agreement to loan an additional 70 pictures to the Madrid museum which remained in the ownership of him and Tita. This seems to be the basis of what she is trying to negotiate for Madrid now. This leads to an interesting point, which is that very few Spanish people (if any) have ever seen the original agreement. I have seen it, which is why I know that Spain made such a terrible deal. I believe, that as a Spanish tax payer, you have the right to demand concrete information about all of this. At the moment, it is still all shrouded in a veil of smoke and mirrors. I can think of no reason why anyone would even consider acquiring her pictures, unless they are being paid some form of commission for doing so. On a personal level, I would also like to say that in my eyes, Carmen Cervera’s vulgarity and lack of taste actually damages Spain’s cultural image internationally. One more thing, which is very important: neither Tita nor Borja can do anything to affect the status of the original paintings bought by Spain from Heini Thyssen. Some reports make it sound like she could take Heini Thyssen’s pictures out of the Madrid museum as well. She cannot!